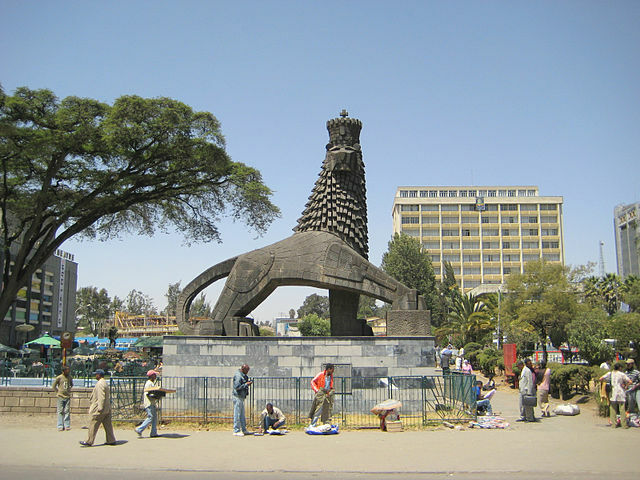 Clashes erupted in the Ethiopian capital of Addis Ababa on Wednesday between residents of the city and youth from the Oromia region. According to local sources, the confrontations were caused by the use of flags symbolising Oromo resistance as supporters of the Oromo Liberation Front (OLF) marched through the city. This angered a section of Addis Ababa residents who clashed with the OLF supporters, with both sides reportedly using sticks and throwing stones at each other. Several people are reported to have been injured in the clashes, which ran on into Thursday. Supporters of the previously-banned Oromo Liberation Front marched into the Addis Ababa on Wednesday, lifting flags representing the Oromo resistance movement, The Addis Standard reports. The news portal also says pavements, roads and fences in the capital were painted in greens, reds and yellows – the representative colours of the flag in question. Prime Minister Abiy Ahmed condemned the clashes, urging people to resolve their differences through dialogue rather than violence. Meanwhile, Ethiopia Federal Police Commissioner Zeynu Jemal called upon Ethiopian to respect each others’ freedom of expression. Under the previous regime, the Oromo Liberation Front was a banned organisation while the use of any flags representing rebel movements was prohibited.